Thank you to all who contributed to help me fund and launch a new site! I hope to have it up within a month. My paypal is robinivy88@gmail.com for those of you who wanted to contribute and said September would be a better time for you. 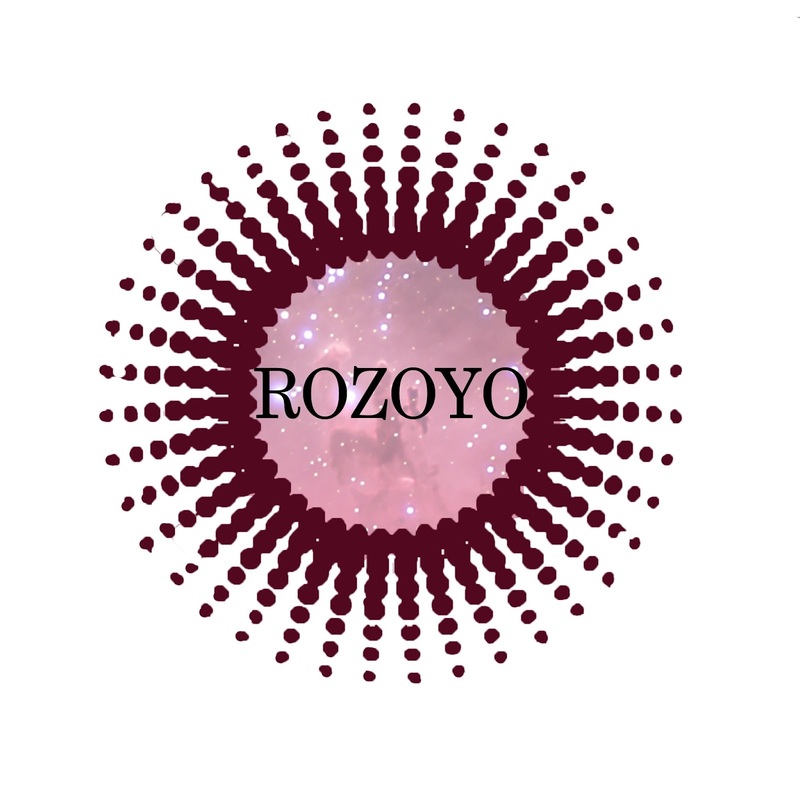 You can still be listed as a friend and supporter of Robin's Zodiac Zone and Yoga on the new website! The Leo Moon and Mars set the stage for competitive games. If you're an athlete, the game gets wild today and if you're a Leo or Scorpio you have the edge to be the MVP. Everyone be cautious with the head, ruled by Mars/Aries. On a day like this, energy and adrenaline work overtime and speed can lead to injury. Wear your helmet today, bikers too! Fast pace, fun and games, performances and also arts events are favored today. Get friends together. It's worth going to the party! This is not a good day to isolate. Even Virgo, who might feel more solitary, enjoys family time or a short trip out of town. Saturn is at work in Scorpio, pushing for long term decisions and answers so there's a chance some business is waiting after Labor day festivities and a day off in the USA. If this is a business day for you, Saturn may be pressing and exerting a heavy hand with tasks and health issues weigh heavily if you're waiting for answers. The good news is there's no Mercury retrograde and Venus smiles at the Moon tomorrow. Try to enjoy the moment today and tap into Leo Moon optimism. Today's color is red. The Moon aligns with Venus in Libra. Relationships including long term and brand new, friendships and family, and other connections with people thrive today. Extroverted and open minded, the Leo and Libra energies make it a good day for an interview, first meeting, romantic date, conversation about forgiveness, and harmony in general. Aries gets a boost in committed relationship and potential opportunity to travel and explore a new interest. Libra and Gemini are all about fun, friendship and lucky breaks. Leo may connect with siblings and can do some successful marketing and networking today. Capricorn is favored to land a job or recognition and also in legal matters and joining of resources such as forming a business partnership or applying for a loan with a significant other. This is a good day for any kind of socializing and mixing friendship or fun with business. Cancer is favored with home and financial things today. Aquarius focus is on love, learning and travel. It's a good first day of classes since we'll meet people easily with these aspects. The Moon is v.o.c from 1:52 pm ET on, so important business and decisions, a change of schedule for example, are best timed before that. Then enjoy the afternoon and stick with usual routines. Today's color is purple. At 6:43 am ET, 11:43 am for my UK friends, the Moon moves into practical, health oriented Virgo where the Sun and Mercury currently reside. The New Moon is tomorrow and this is a very good day for talk or planning for what's next. Get ready to start a new story for yourself. Prepare for lifestyle and routine changes, shop for seasonal items you need, and put dates on the calendar. Saturn adds work ethic and a feeling of responsibility and Neptune is working for some romance and imagination. Two very different influences like this can create good balance where you're less into over-thinking or completely goofing off. Take the edge off perfectionism, get something done you feel good about, and also enjoy something like a movie, music or date time. Pluto leans us somewhat in the direction of getting work done at night too so build in a couple of hours of relaxation. Tonight, rethink, plan and organize. Launches and new routines starting tomorrow are ideally timed! Today's color is black. The New Moon is in harmony with Jupiter in Cancer. The planet of joy, abundance & philosophy working with the New Moon encourages us to be open minded and open hearted and enjoy. The people dearest to us relate to Jupiter in the sign of family and home and this is a good time to heal relationships and spend happy times together. For Capricorn, the significant love relationship is impacted most and it's a growth time for love and commitment. The Virgo New Moon is a good time to clean house and replace outdated, shabby, weathered things with useful new ones. Getting life in order and making room for healthier routines, well managed schedules and orderly systems is favored. Mercury is near the Moon, they'll meet tomorrow, and it's time for communication improvements. This can be technical such as a new phone or interpersonal such as overdue conversations or planning. Get new things in place this week and weekend regardless of how your life needs more organization or upgrades. Virgo Moon is practical and it's not time for frivolous purchases, though necessary items are well acquired now while Mercury is direct. Today's color is white. This is a big day for meetings, well thought out changes, and improvements of all kinds as the Virgo Moon meets Mercury in this early phase of the lunar cycle. Our cars, phones, computers, and communication systems of all kinds should be a priority to have in working order, highly functioning, and if that's not the case it's a good time to fix or replace such things. Even with the void of course Moon beginning at 6:10 am ET, Aries may find a work meeting very productive and work will be busy. Leo, keep up with money matters and employment opportunities as this is a great time to land new work! Sagittarius, career plans, interviews, presentations and recognitions are favored for you. Libra, keep plans quiet if that feels like the right idea for now. Many announcements held back for a while will come now however, and it's a newsworthy day full of important communications and information. Keep up with messages and emails today. Opportunities are in the air. It's also a good day for health appointments or advice before 3:12 pm ET. The Moon moves to Libra then and going out tonight or having house parties or gatherings is favored. Get together with people tonight. Partner up if you have to work. Today's color is brown. The optimistic combination of the Sun and Jupiter may override the strains or growing pains of the Libra Moon's squares and an opposition to Uranus in Aries. Intellectual and organizational work is challenging today. Decisions may be difficult and information that needs to be sorted through or gathered, tedious. The Sun sextile to Jupiter increases popularity and visibility for Virgo and Cancer and is favorable financially for Leo and Aquarius. Pisces, this boosts and highlights your love life! Keep justice and balance in mind with all you encounter and take on this weekend. Today's color is blue. This is a very positive day for relationship and love as the Moon and Venus meet in Libra. The planet of harmony assists couples trying to work things out, enhances love and romance, and even helps with family and friendship. Gemini and Sagittarius enjoy meeting new people and being in social situations today. It's a great day for Cancer to entertain at home or make the place more beautiful and comfortable. Virgo may acquire a lovely new possession or gift. Capricorn gets career vibes. Do anything that improves a relationship with Venus on your side today. Make positive connections with both new contacts or friends and people you've known. The void of course Moon from 4:46 pm to 9:44 pm ET is a transitional time and enjoying relaxation and being with others is a good way to wind down before Sunday night's Scorpio Moon reminding us of obligations and things that have to be taken care of early this week. Later night hours are work oriented. Today's color is red. For A Taurus Moon day, this one is unusual with potential for sudden, extraordinary, or stunning events. The Moon in Taurus combines forces with Pluto and Jupiter giving the stable influence, favoring abundance and business ventures. Do pitch your product, go for a great account, client or sale. In business and other work, today could easily provide a bonus of some kind. Go all out to make it happen. Aries, Aquarius, Pisces, Cancer, Capricorn, Libra and Gemini all have different aspects favoring money, career, work, and earning potential today. The unusual surrounds relationships with Venus and Uranus opposite in Libra and Aries leading to sudden changes of feeling or attitude toward love, romance, dating, and other partnerships. Status changes may be announced abruptly, either the joining of forces or the separations. It can truly go either way, and fast. Libra and Aries in personal, committed relationships, Gemini and Sagittarius in friendships and romantic alliances and Pisces where private or secret affairs are present. The Sun is opposite Neptune also, and this has a very idealistic, possibly unrealistic influence, so try to tell yourself and anyone else important the truth. Today has some super creative aspects too and is good for chefs, fishermen and women, farmers, and others who work with nature and the earth. Today's color is pink. The Moon is in Taurus, continuing some of yesterday's effects, so do read Monday even if today is Tuesday! Mercury and Saturn lead to significant meetings, discussions and conversations meant to yield long term decisions and results. Don't take anything with a grain of salt. People will mean what they say and expect what they ask for today. Venus, yesterday's planet of interest, planet of harmony and relationship, squares Jupiter in Cancer today. Can you in grow in the relationship you're in? That is a big question on minds now. Venus in Libra wants partnership and balance and Jupiter in Cancer strives for something you can count on. In your relationship you may feel the need to be "airtight" now, in other words, not let anything or anyone's influence leak in like a breach of security. Keep your love life between the two of you now. Some affairs discovered this week will be confronted now and with Venus in Libra it's one on one and balanced or nothing. With this square, especially where families and children are involved, there is no room for flirtation or a "leak" this week. Status changes and discussions continue. The Moon is void only for 10 minutes and moves to Gemini at 7:08 pm ET, 4:08 pm Pacific. Gemini Moon makes for an entertaining night out, with friends, or at group meetings. It's a talkative, sociable influence. Mars moves into Leo at 10:05 pm. The focus of Mars goes to activities involving the kids, performers and entertainment, and one last blast of vacation time in the next several weeks. Mars in Leo is all about sports, games, arts events, and being on stage and in the audience. Start a new production soon! Scorpio and Leo are favored for the big roles. Today's color is red. It's the 4th quarter Moon and during this lunar phase consider what to let go of. That could be an idea that's just not panning out, an expectation or a project that you need time away from to go back fresh at a later time. It could be a grudge or a relationship as well. The Moon in Gemini often focuses us on the many considerations or problems and it's a time we need some stress relief in the form of either talking, writing, or exercising. All three might be best if you have a lot on your mind! There are 3 squares to the Moon which means many of us will be stressing, multi tasking or just working hard to make things work! Mercury trine to Pluto helps with the meetings, talks, and organization of plans. It's worth the effort to try and progress, convince or build some confidence today. Exercising the body helps take some of that activity out of the head where it can build up! This is a reconsideration and flexible planning time. Be will ing to adjust as needed to take some pressure off. Tonight people will be full of themselves, outgoing, maybe a bit extreme and if you need down time, stay home. The Moon acts with Uranus and Venus and some the week's news around couples perks up again. Cancer needs the down time. Gemini and Aquarius need people, more likely. Aquarius will enjoy combining work with socializing. Today's color is blue. The Moon is void of course, in transition, all day long. If you feel like you're waiting, heading in a direction going nowhere or just laying low, you're feeling the void of course Moon. Waiting is better than acting too quickly today. Our judgement sees better hours. Do routine work, have quiet conversations and avoid gossip. It's the kind of day you can say something and be misquoted or the word may get around in a way that isn't beneficial to you. Flexible travel with no strict timetable or plenty of time is a good way to spend the day. Hanging with brothers, sisters, or close friends is another Gemini Moon time thing. Writers and teachers may like having time and space to work without too many distractions. Tonight is good for blowing off steam with friends. Yellow is today's color. Cancer Moon moves in for the weekend, family oriented and with potential for opening up new options! The Cancer Moon arrives at 7:33 am ET and lasts into Sunday. All elements are in harmony today including Mercury in Virgo with Jupiter in Cancer, a trend that continues tomorrow around family and household harmony, problem solving, expansion plans or house buying and searching. It's a nice weekend to be moving to a new place and getting settled. Or you might clean and reorganize your current space and do the same in relationships at home. Clean it all up and start fresh now! The Sun sextile to Saturn in Virgo/Scorpio adds to the organizational vibe and brings focus on priorities. Put stars on the to do list and take care of those things, even if they are the big ones, first. Serious statements will be made today. get your life in order and mean what you say even to yourself. This is a much better shopping day than Saturday or Sunday and since it's moving and back to school time, timing is everything. Today's color is white. Last day of this campaign for a new website! Thank you! Void of course Moon begins at 7:33 am ET. It's not the best shopping weekend. Save all receipts. The Moon's harmony with Mercury is great for problem solving with practical agreements, especially with family members and a meeting with lucky Jupiter helps moods, points at possibilities and makes it a good night for a house party or gathering for dinner. This is a good day for both taking care of tasks and business and also enjoying time with people you love and have good times with. Venus and the Moon don't quite see eye to eye tonight but it takes more than one perspective to get the whole picture. Try listening to a partner or best friend's point of view with objectivity. Today's color is purple. The Moon is void of course in Cancer. Take it easy, slow and gentle. Moods may swing a bit. take advantage of the ability to shift or alter your own or someone else's mood for the best! Work at home repairs, cleaning and making things comfortable or cooking! It's a domestic type day. The Sun trine Pluto is good for social times, exchanges of ideas, and doing rather than just talking about it! Act on plans! The Leo Moon moves in at 8:01 pm ET. and it's a good night for being with friends, at events or rehearsing and learning. Today's color is gold. Contribute to my efforts to upgrade this blog to a new site with more content! Indiegogo helps fund creative projects! Robin's Zodiac Zone online since 1999 is ready for a new look and format! 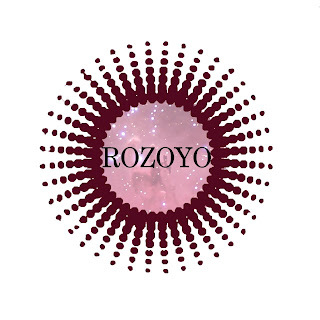 Robin's Zodiac Zone Evolves in 2013! Be listed as a Sun, Moon, Star or Grand trine supporter! The Full Moon is Tuesday night at 9:45 pm ET, 6:45 pm Pacific and in Aquarius again this month, like the one in July. The Moon is opposite Mercury between now and Full Moon time and important topics come up for decisions, debate and some kind of new understanding. Compromise isn't going to easy to reach since the Moon and Mercury are in fixed signs, Leo and Aquarius. However, both signs indicate intelligent and reasonable methods that take community and what's best for the individual both into account. This is likely to be a day of big meetings, confronting problems and issues and looking for sensible outcomes that are not too extreme. Venus helps with collaborations and couples, from Libra, and Saturn reminds us of the gravity of actions we are taking, from Scorpio. Give decisions considerable thought and take advice from the more experienced into account. Uranus and the Moon are bold and original, harmonizing from Aries and Aquarius. Today will be a significant milestone day for some, and for others it will be the planning day for what's to be determined tomorrow or Wednesday. Line things up as well as possible. Set up for success. Make a long overdue decision. Tonight is social though keeping your wits and good friends about you is the way to go, versus risk taking or solo ventures. Today's color is turquoise. The Full Moon in Aquarius, the second this summer, can be a second chance at something you couldn't quite work out in July when Mercury had barely stationed direct. This is a better time to make a move that impacts the entire group whether that's workplace, family, community organization, or neighborhood. Aquarius Moon is about banding together, getting behind common causes, finding people who share your goals and interests, and being scientific and creative at once. This Full Moon has vision, and though it might not be the easiest one for compromises, later you may see why a compromise is not what's called for. If you have an ideal, you'll likely stick with it rather than give in too much, though finding general consensus and course of action everyone can live with for now might be the answer (versus finding middle ground which is different!) Activity wise, the Aquarius Moon rules the inventive, anything that's a team effort where everyone takes his/her strongest role, and things like design, architecture, photography, engineering and other planning. Finalize a plan or project. It's a good, though maybe challenging day, to plan an event or performance. It's worth working through but there may be communication issues and matters of strong difference of opinion all in the name of creating the best end result. The Moon is void of course from Full Moon time, 9:45 pm ET until 12:43 am. We are also impacted by Jupiter square to Uranus which can lead to sudden moves and disorient us. Keep your head on straight tonight in case of something unusual that needs to be noticed or dealt with. Today's color is white. The Pisces Moon harmonizes with planets, including even Saturn, a planet that can cause challenge or even indicate sadness or negativity in Scorpio. Yet, on this day past Full Moon, business that needs to be finalized and emotional situations that need resolving are mostly smiled upon with Neptune for ingenuity, Jupiter for growth, and Pluto adding a practical note. Jupiter and Uranus are at a square though which throws another interesting and unpredictable aspect into this Full Moon time. At the last minute someone may challenge a plan you thought was a done deal. Threat of a change or a challenge may be more likely than the actual change in outcome but still it can be disconcerting or seem like a big deal at first. Aim for progress today. Don't try to hold someone back or resist the flow. Be ready with plan B and have some flexibility with time. This Pisces Moon relates to growth and fertility and is a good time to focus on the garden, landscape, fishing, planting, and harvesting. Tonight find friends in good moods and be mellow. Today's color is light blue. We move out of the Full Moon zone and the Sun changes signs. Babies born before 7:02 pm ET, 4:02 pm Pacific, are Leo and after that it's Virgo time! The Moon is in Pisces and in harmony with Mars. The conditions are right for a good ebb and flow, physical and creative energy, and willingness to be progressive and change. Keep today simple, fun, easygoing, and creative. Being near water is favored, for example a trip to the beach or lake, a walk at the shore, or business related to boating, fishing or waterfront property. Tonight the Moon is void of course from 9:38 pm until 3:13 am ET. It looks like a very mellow and flexible night to hang out, relax, and keep things simple and drama free. Today's color is green. Mercury moves to Virgo, following the Sun's shift yesterday. Virgo energies put focus on health, wellness, and physical changes like reorganizing or arranging. Virgo is a versatile sign in terms of pulling things together to create something new or find alternative purposes for things you weren't using. Go through the closet or garage and see what you can find new uses for and eliminate what's just collecting dust. The Moon in Aries opposes Venus in Libra and there's a tug between what's good for one and what works for both in partnerships and couples. There could be some negotiating or mediating through an area of disagreement but it's a good time for that while Mercury and the Sun have a practical and changeable influence from Virgo. Libra may need some down time or time to rethink a relationship or creative partnership now. Aries also may need some recovery time from the Full Moon. Virgo, you are very much in your element and in a good place to make decisions for the next few weeks while Mercury sharpens your mind and wits. Taurus and Scorpio, this is a very good time to meet people and enjoy friendships. Today's color is orange. As the Sun meets Mercury and Uranus likely brings in a new rush of energy or information that increases the probability of important decisions and conversations today. Leo and Aquarius experience this with business and money while home life and family things are on the table for Gemini. The Moon conjunct Uranus may spark new ideas or feel unusually or inexplicably emotional, possibly for Taurus and Aries. Capricorn could get an out of the blue work opportunity or have things go in a very different direction than expected, especially with career plans or situation. The boss may quit today (or Monday! ), and you may find yourself in charge by default. Another possibility is that Pisces finds out about a major change that impacts work and maybe relationship decisions that are related. Today is full of interaction, news, a need to keep up, and increased probability of changes and decisions. Venus squares Pluto and it's best to tread lightly with relationships and communication between partners since there might be just too much going on! Tonight is highly social. Today's color is red. The Moon is void in Aries from 6:02 to 9:13 am and then in Taurus. The Moon squares Mars early and some could wake on the wrong side of the bed this morning. Give each other space if needed. There's an independent, me first feeling in the early hours. The Taurus Moon works well with Sun in Virgo for practical tasks, home cooking and enjoying natural surroundings. Mercury in Virgo lends sensible, well thought out advice and a way with facts and figures. Go over the budget or your finances or study. Mercury opposite Neptune puts the practical and creative at odds and if you can use both sensibilities, that's best and can help avoid an argument or disagreement with someone who thinks differently for you as well. The chance of debate increases tonight and the energy on both sides is stubborn so it is most likely to go nowhere, but if you need to speak your peace do that without expecting someone to give in. Today's color is yellow. The Moon sails along with no aspects to other planets today. The Libra Moon is void of course and may have a spacey, airy effect. It's a good time to daydream and think up new plans without putting judgements on them. Brainstorm ideas and find a flow with routine work. The brain may be doing one thing while you focus on another today. It's a good day to have a talk. collaborate, and find partners you can work with if you're Capricorn or Taurus or maybe live with if you're a Cancer or Aries. The Scorpio Moon moves in at 4:18 pm and is fixed in nature and less flexible with plans and thinking. Scorpio Moon means time to deal with personal business an get focused on a project or course of action tonight. Plan and prepare for busy week, particularly anything on the agenda for Tuesday. Today's color is maroon. The Moon and Saturn meet here monthly and on these days we must take things seriously and act with responsibility, doing the wise thing. Ask elders or more experienced people for advisement. Mercury in Leo squares the Moon and decisions are for the long haul. It will be hard to break a promise or agreement made now. The Moon and Pluto favor strong organization and ambitious action and planning. Methodical, step by step plans are favored. Jupiter weighs in from Cancer reminding us we can take care of others and not step on feelings while doing good, solid business. Be tactful today. Consider expansion plans. Aim for growth. It's also a good day for planting, working outdoors, fishing and doing other things that bring harvest. Believe what you hear today. We will mean what we say and not back down easily. Today's color is indigo blue. The 2nd quarter Moon is a time we need to see and feel progress. Get back on track with something you were slacking on. Get into work mode. The Scorpio energy lends strong focus. Try to not disturb or sidetrack other people from tasks. We won't appreciate distraction and needless disruptions today. Venus in Virgo helps with organization, creativity and getting along. Do something to improve health or investigate a health issue for answers. The Moon is void from 5:30 to 9:04 pm ET and is more relaxed. Cancer, Scorpio, and Capricorn may be ready to unwind or start an extended weekend. Tonight the Moon moves to Sagittarius for adventures, breaking routine, and outgoing fun. New things are appealing tonight. Wear red. Sagittarius Moon combines forces with Uranus in Aries bringing out the bold, brave and fiery, and with Mercury in Leo for adventures and new learning. All of this is active and dynamic so regardless of what you need to do, a sense of enthusiasm is essential and should be easier to come by. If you're just not fired up, today's aspects may give you a kick in the seat of the pants that you can't ignore. Initiate, make progress, get in learning or teaching mode, rehearse or perform, and get outisde doing active things. It's a day when choices are good and being in new environments or presented with interesting topics and material will help motivation. Sagittarius Moon is not satisfied with the norm and Uranus is throwing curve balls and instigating surprises. Today's color is yellow. The Moon and Pluto meet monthly and today the Capricorn Moon also opposes Jupiter. With Cancer involved, home and family aspects are triggered. For Cancer and Capricorn, relationships have a chance to experience growth now. If there's an issue, it's secrets and things hidden from plain view. Be open and honest for best relationship and family resolutions this week. The Moon harmonizes with Saturn for long term decisions and with Neptune for creativity and seeking "zen". It's a good time to find some peace and make plans and relationships realistic. Finding middle ground in any part of life is favored for all signs. Today's color is green. The Moon is opposite Mars today. We may feel more ready to confront long standing issues, though how we do that is indicative of the results. Mars is a confrontational planet and Cancer is a sensitive sign. The Capricorn Moon favors practical approaches that result in solutions and ambitious plans. If you want details remembered and adhered to, have conversations and make decisions before 2:26 pm ET. It's a good day to get things done and feel good about accomplishments, especially since we're getting close to Full Moon time when time if often ticking. Today's color is brown. The Moon meets Mercury, planet of communication and news, overnight. This morning's news and changes are most likely about family, places you've known as home, transportation and finances. Cancer is a sign of investment. This is also a nesting time and getting home comfortable or getting ready for a move or other changes in home life is favored. The Moon is void of course from 2:49 am to 12:58 pm and moves to Leo then. The Leo Moon squares Saturn in Scorpio. For Aquarius this relates to career and relationship and making some thoughtful decisions or moves. For Scorpio, personal and career matters are on the agenda. Libra and Aries have financial matters to contemplate with care. Take today's business seriously and consider the long term implications. The New Moon is tomorrow so reconsider anything important before new launches this week. Today's color is gold. Jupiter opposes Pluto. Important conversations take place, mainly about growth and expansion though travel and other changes may also be big topics and news today. Bring things to scale. We can have ideas or plans too complex or grand to carry out effectively. Leo and Aquarius may come to find out about great support from behind the scenes or from an unexpected source. Cancer and Capricorn, focus on personal and relationship growth. The Moon is void of course in Leo all day. All week long there are good aspects for beginnings, getting motivated, and engaging in things that make you more intelligent or wise about life. The day is very social and it's good to mix in fun and relaxation. It's also a great day for performances including being in the audience or on stage. Go all out with fun and bring business and financial plans to a reasonable scale. The Moon will move to Virgo at 11:57 pm ET. Today's color is purple. Mercury moves to Leo where he's most extroverted, focused on children and education, and inspiring for rehearsing, performing and creating art for the next few weeks. When Mercury moves, we get news. Announcements come in the wake of Leo New Moon we had on Tuesday. There's a shift generally in the energy of work and communicating we're doing. Listen to what's being offered. Cancer and Scorpio may find this good for career and work projects. Capricorn, make financial decisions. Pisces, adopt a new routine or two that are more to your benefit or fit your new schedule better. The Moon is in Virgo. Make health appointments and organize the calendar. The Moon works with several planets including Jupiter in Cancer for good feelings between us and more order at home. Move and clean. Wear navy blue today. The Moon is aligned with Mars and meets Venus. This continues good vibes from the Venus Mars alignment last Friday. Second date, anyone? It's a good time to work on relationships and be practical as well as romantic. Moving in together, engagements, and life decisions are favored for couples and individuals may find dating alot of fun. It's a good time for Virgo, Taurus and Scorpio to meet people they have things in common with. Make good people connections today. At home or work, beautify, clean and organize space. Relax in the evening under a void of course Moon from 6:05 pm ET. Today's color is pink. The Libra Moon is geared for sorting out issues and finding agreement. With no Mercury retrograde it's a good time to negotiate and compromise or find consensus. Take a fair and impartial stance today. Libra Moon brings in happy social times too. The sign of the couple and partners takes over the weekend and today is nice for weddings and other events where you get dressed up and have a good time with people you know or newly meet! Today's color is lavender. Today's Libra Moon has more aspects including an opposition to Uranus and square to Jupiter and Mars. It will be more work to reach agreements, and fairness becomes more of an issue. How to share responsibility, space, or resources is a matter of debate today. Also, Mercury square to Saturn instigates news and communication about long standing topics or issues. In fixed signs, this aspect indicates the places where there's lots of work to be done and may involve our elders, property, and mental health issues. Talk about it but try not to force decisions. If you do make one, consider it lasting. Wear blue.